New to the Travel and Soon for our Interleague program is our Academy style Goal Keeper training option offered by Long Island Professional Soccer (LIPS). Teams can now register their Goal Keepers to get professionally trained by the LIPS organization. Training will focus on the technical and philosophical aspects of goal keeping. Stretching and mental preparation are also aspects that will be covered, as well as what to do the other six days of the week to give goal keepers an extra edge. Goal Keepers have a view of the entire field during the game and can play a valuable role to the success of a team in more ways than one! 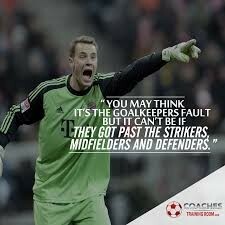 Our goal at this age is to help goal keepers develop their full potential. The skill level at these ages is no indication of what the skill level will be at the older ages of 16-18 years old. Therefore, we will encourage and work with all goal keepers to be comfortable and confident will the ball, and with the unique role and position that they play. This environment allows them the opportunity to reach their full potential and play a key role in guiding their team.